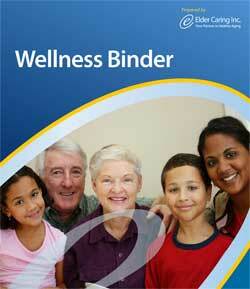 Contact Us - Elder Caring Inc.
Book Your Introductory Elder Wellness Consultation! With geriatric care management experts in social work, occupational therapy, physiotherapy, gerontology and more, Elder Caring Inc. is a Canadian care management practice pioneer. As working professionals in the care management field, all of our team members have many years of experience in working with the disabled, the elderly, and their families. Elder Caring Inc. has team members and representatives across Canada. For questions about Elder Caring Inc. geriatric care management services please contact us by phone or the email form below. It’s Friday at 4:00 pm & your parent is being discharged. HELP! Attorney compensation and then some! You Are As Old As You Feel, Or Are You? Audrey’s latest interview in the Financial Post: Elder care or your small business: Which gets priority? Living Safely With Dementia– new resource! What Are You Entitled To? The Federal Government’s Benefit Finder. Guide to Government of Canada Services for Seniors and their Families. Information provided on this website is not intended to be a substitute for or replace medical, legal or financial advice. Providing care management, and advice on caregiving, in home care and assisted living solutions across Canada. Site Map | Webmaster: Empower You Web Solutions Inc.